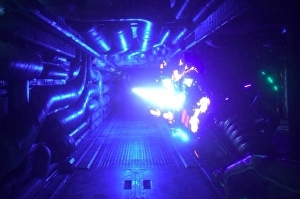 How will System Shock’s reboot differ from the original? Remaking a classic video game is an intimidating prospect. Stick too close to the original and you run the risk of releasing an archaic project that maybe doesn’t hold up as well in modern times as it did in its day (see Doom 3: BFG Edition). Change too much, however, and purists will complain that the feel or tone is too far afield from what they remember (see Metal Gear Solid: The Twin Snakes). Heck, even the best remakes still fall shy of their source material in at least some minor way. Wind Waker HD is a more vibrant spectacle than its 2003 GameCube forbear, but its new bloom lighting occasionally robs Link of some of his charm. Likewise, Resident Evil’s remake (and ReRemake) are easy on the eyes, but the “better” voice acting is bad in a generic, boring way, whereas it used to be indescribably bad in a hilarious way. The Vancouver, Washington-based Nightdive Studios is currently walking this tightrope on its remake of cult classic sci-fi horror game System Shock. We , and the is off to a rousing start, nearly meeting its $900k goal in three days, but there’s still a lot of questions about how Nightdive will approach a 2017 version of a 1994 PC game from an era where you could only look along the X axis. To find out more about this, I caught up with Nightdive founder Stephen Kick at an industry event in sunny Portland, Oregon to discuss the developer’s vision for a new System Shock.